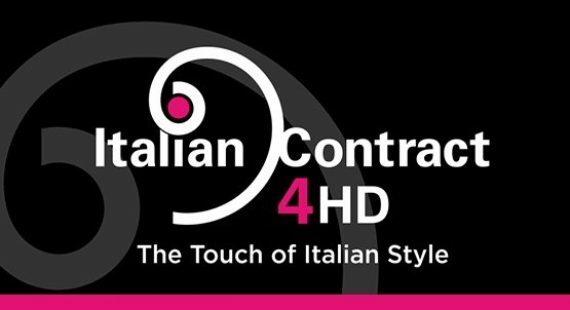 For the fourth time a selection of the best Italian companies in the hospitality sector exhibited under the umbrella name of ItalianContract4HospitalityDesign (ic4hd) at HD Expo – the most important trade show for the segment on the US market. The expo took place from May 14th to 16th at the Mandalay Bay Convention Center in Las Vegas and registered an important increase in the number of specialized visitors from USA, Canada, Central and South America. The 15% jump in attendance from 2013 is mainly due to the high quality of the fair, marked by a significant number of exhibitors (more than 900) and by a rich and high-quality conference schedule. The upturn of the hospitality sector in the US did the rest. Thanks to the excellent position on the main corridor, ItalianContract4HospitalityDesign was visited by important architects, designers and specifiers, besides the specialized press. All the Italian Contract proposals stirred up great attention and enthusiasm: from Gervasoni‘s Ghost and InOut outdoor furniture collections to Radici‘s carpets in New Zealand wool with refined products and bespoke solutions. From the new concept for minibars presented by Indel B – finally inside a drawer! – to Lea Ceramiche‘s ceramic coverings: big sizes combined with an extreme thinness. From the versatile coating system proposed by Sleeping and co, ideal both for walls and furniture, whose extremely easy laying system grants the highest possibilities of customization and renewal of each space to New Life‘s seats: thanks to a special manufacturing process, each and every logo, brand or drawing can be cut or milled on any material, for a total customization. Besides ItalianContract4HospitalityDesign group, many other Italian companies took part to the Expo, some of them with their US brand. Among them are Abet Laminati, Florida Ceramiche, Florim Ceramiche, Listone Giordano, Segis, Tempotest. The trade show was enriched by an important conference schedule that involved all the top professionals of the US hospitality sector: prestigious architectural firms, developers and institutions such as ASID (American Society of interior Designers), IIDA (International Interior Design Association), ISHP (International Society of Hospitality Purchasers) confronted themselves on various subjects during the 3 days of the fair. 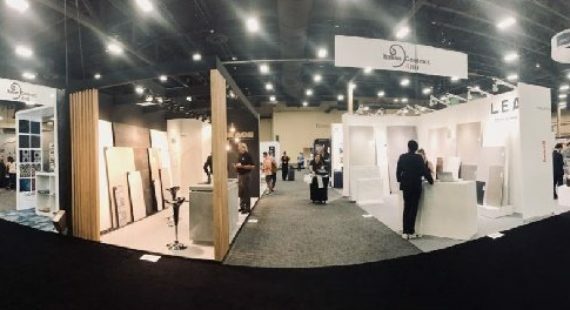 Not only conferences but a profitable exploration of proposals and solutions suggested by exhibitors: architectural firms participated consistently to HD Expo, such as Benjamin West that brought to the fair 8 Project Managers and 3 Top Managers, to select the future suppliers of the many projects in their pipeline. In the upcoming months here you will find the interviews taken during the fair, together with news and facts and figures about the 2014 edition… in preparation to the 2015 one! And that’s not all: ic4hd companies can be followed also on the social networks Facebook and Twitter! So, don’t miss the countdown to HD Expo 2015 and Arrivederci in Las Vegas from May 13 to 15 2015!